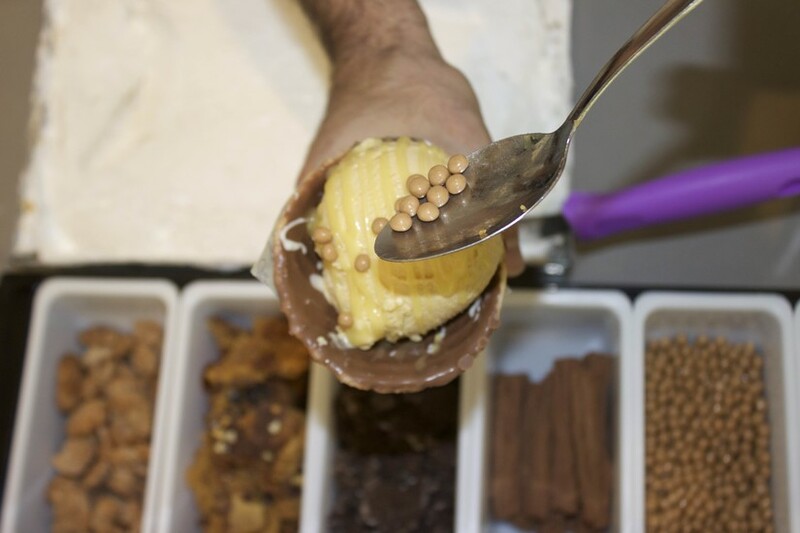 A master at producing delicious and creamy ice cream made with the highest quality ingredients (no chemicals or synthetic additives) Paul Ballen’s hobby soon turned serious. 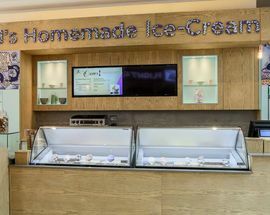 The Hyde Park store is one of four (other branches include one at The Zone@Rosebank, one at 4th Avenue Parkhurst and another at the Sandton Gautrain Station). 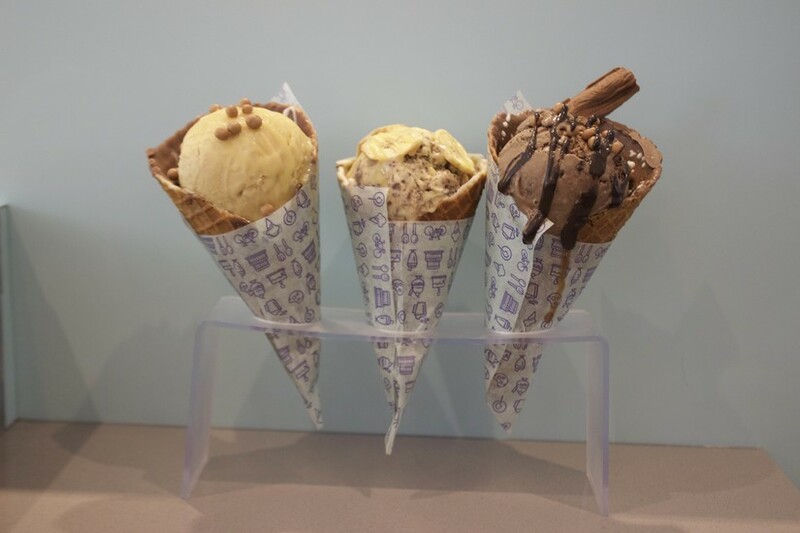 Each Paul’s Homemade Ice Cream store has a signature look and menu items. PHIC has enlisted the aid of local graphic artists to create a unique store identity. Art has always been an essential ingredient in Ballen’s life. His mother is an artist and his first signs for his ice cream events were hand-drawn by her. 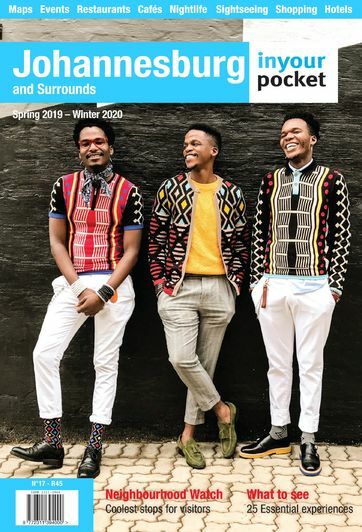 At Hyde Park Corner, one of the city’s swankiest shopping malls, the artwork adorning the ice cream parlour on the ground floor is by Pretoria-based illustrator Karabo Poppy Moletsane, whose work is inspired by hybridity. With its references to classic hand-painted African barbershop signs the imagery borrows quirky characters from PHIC HQ’s home suburb of Orange Grove. 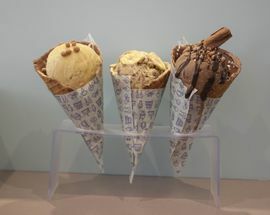 The speciality menu item at Hyde Park Corner is the filled handmade sugar cone, coated inside with white or milk chocolate, piled with ice cream and topped with a choice of sauces that include chocolate fudge and caramel. The signature flavour for the store is roasted pistachio, honey and gold edible Glitter. Look out for the ever-changing and always enticing flavour of the month at all stores. Open 08:00-21:30. Wed, Fri, Sat 08:00-22:30.